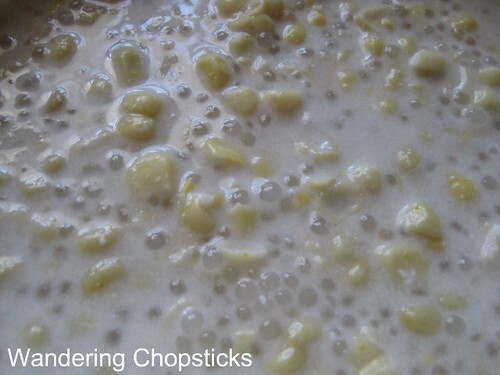 One of the other mainstays of summer for me is Che Bap (Vietnamese Corn Pudding with Tapioca Pearls). Che is a catch-all word to describe Vietnamese puddings or dessert soups. It can be eaten as a snack at any hour of the day, not necessarily as a dessert, served warm or cold. It can be made with anything from corn to bananas to seaweed to beans. While you can get che bap at any time of the year, summer's bounty of fresh corn on the cob makes this an even fresher treat. I like using fresh corn sliced off the cob. 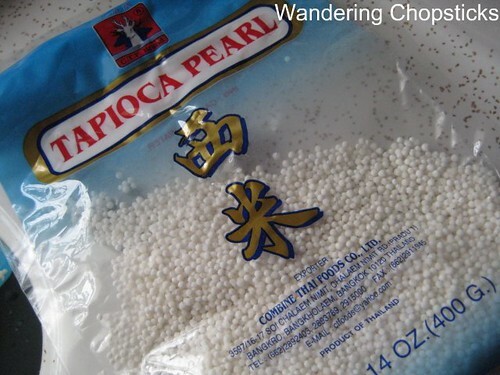 Tapioca pearls. Yup, this is the same stuff that most Americans would recognize in tapioca pudding. And coconut powder. 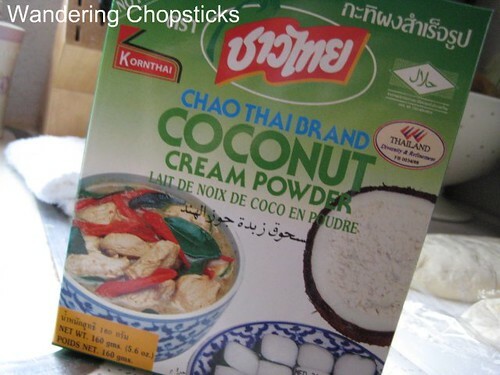 Why powder and not coconut milk? 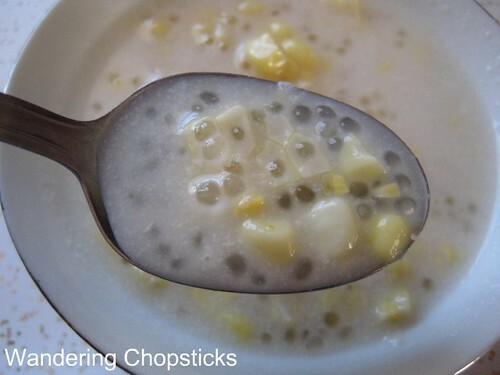 I find it easier because I can see when the tapioca pearls become translucent if I boil them in water and not coconut milk. The powder also allows me to control how creamy I want to make the che. I sometimes alternate and add coconut milk instead too. It's personal preference. 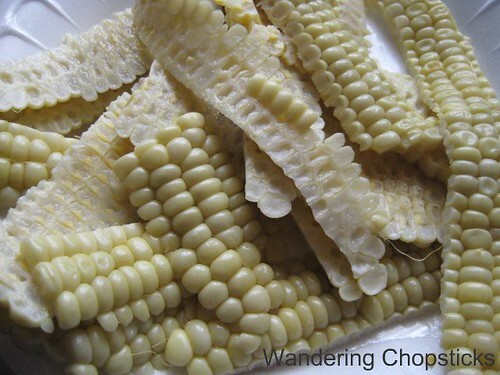 Slice kernels off corn. Set aside. 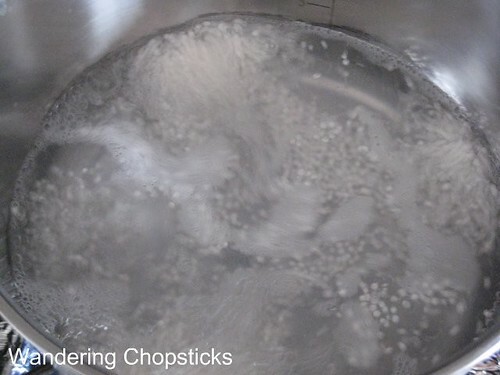 You can soak the tapioca pearls for several hours or overnight until translucent. But if you're really impatient and want to eat it right away, you can follow my method. Add 2 cups of water to a small pot. 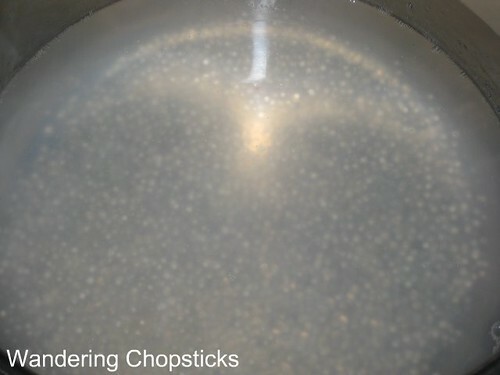 When the water boils, add 1/4 cup tapioca pearls and 2 tblsps sugar. Turn the heat down to medium-low and let simmer. Allow to simmer for about 15 minutes or so. 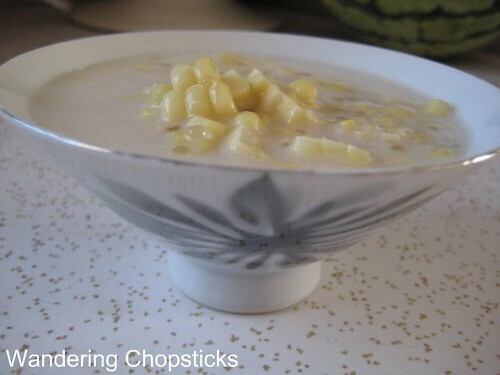 When the tapioca pearls become nearly translucent, like so, add about 6 tblsp coconut powder or 1/2 cup coconut milk, a dash of vanilla extract, and the sliced corn kernels. Taste and adjust coconut powder or sugar if necessary. Allow to simmer for another 15 minutes until tapioca pearls are completely translucent and the che has thickened like so. Optional: Add honey at the end for aroma or further sweetening. Che bap may be served warm or cold. I like serving mine in these delicate bowls. Like it? The bowls were one of my thrift stop finds from a decade ago. This is one of my favorite desserts but I've never thought of putting honey in it. Thanks! Looks yummy... I will have to try it. Haven't had it for years. By the way, your blog's timestamp seems off. It's dated Monday, August 20, 2007? OMG, so delicious! I miss this dessert a lot, too. This looks really good. I have been enjoying the local sweet corn lately. I will have to see if I can find some tapioca pearls . Wow, I saw the picture and thought it was the filipino dessert guinataan. Same base of coconut milk and tapioca balls, but we add jackfruit, bananas, and taro root. It's great served hot when it's raining, or served cold for breakfast. I'll have to try the corn version! I got the honey trick from one of my aunts. It adds such a nice aroma at the end. You can try substituting with sticky rice. It won't be quite the same but still tasty. There is a version with jackfruit and any other fruit. It's called che thap cam (a bit of everything). Ooo! I love this dessert. You just reminded me to make some. thx! Hehe, you got me making figs and prosciutto the other night. Can you describe it more? There's a che with glutinous rice balls in coconut milk. That looks lovely! I haven't had tapioca pearl desserts in ages! Neither had I, so that's why I got the urge. This is one of my favorite desserts! I am always bugging my mom to make it b/c I am lazy to do it on my own, hehe. Ha! I usually go buy it from Banh Mi & Che Cali. 3 for $2 is so much quicker than making it at home. Thanks for posting pics. 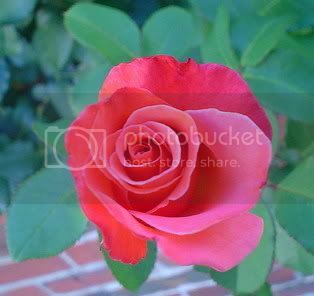 I found many sites on google that have recipes, but this blog is one of the few that actually posted pics. Let me know how it works for you, or if my directions were clear. Thanks for this recipe. I had this warm in Viet Nam, and had no idea what it was - ingredient wise. I had some of the large tapioca balls at home (like those used in bubble tea)...and I'd recommend against using those - they got translucent and soft, but b/c they are so big they were kind of like jelly beans - next time I'll use the little ones. Otherwise, it was delicious. One thing to point out, if I may - you don't include adding the sugar in any of the steps of the recipe. Of course you may! Thanks for catching that. Yeah, the large boba aren't intended for che. They're really best in drinks or shaved ice. Wow...how could I have forgotten about this dessert after so many years? Thanks so much for sharing! I LOVE your blog! There are very few blogs that have authentic Vietnamese recipes so thanks for posting! I don't have any coconut powder....can I substitute coconut milk for the powder? Thanks so much! How could you forget? I love che bap! Hi there! 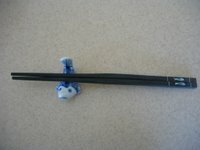 I just found your blog while searching for Banh Bot Chien recipe. I've been wanting to eat this! 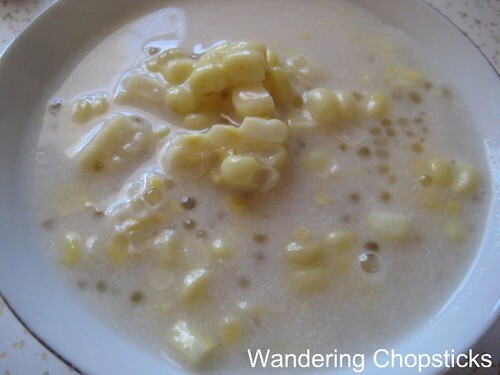 But didn't know how to make it, is it okay to substitute taro instead of the corn? I love taro! And I remember having a Che in Viet Nam like this but with taro instead. Or is it a completely different Che? Sure. Steam or boil the taro first since it takes longer to cook. The che bap at Banh Mi Che Cali and Thach Che Hien Khanh don't have coconut milk in them, that's why they add coconut milk on the side for you. This version has the corn cooked in the coconut milk, so it's redundant.